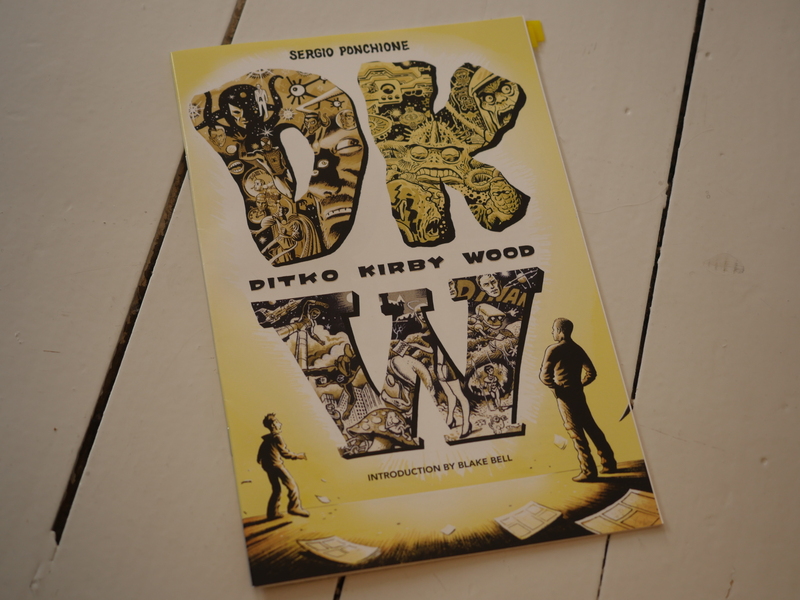 DKW: Ditko Kirby Wood by Sergio Ponchione. 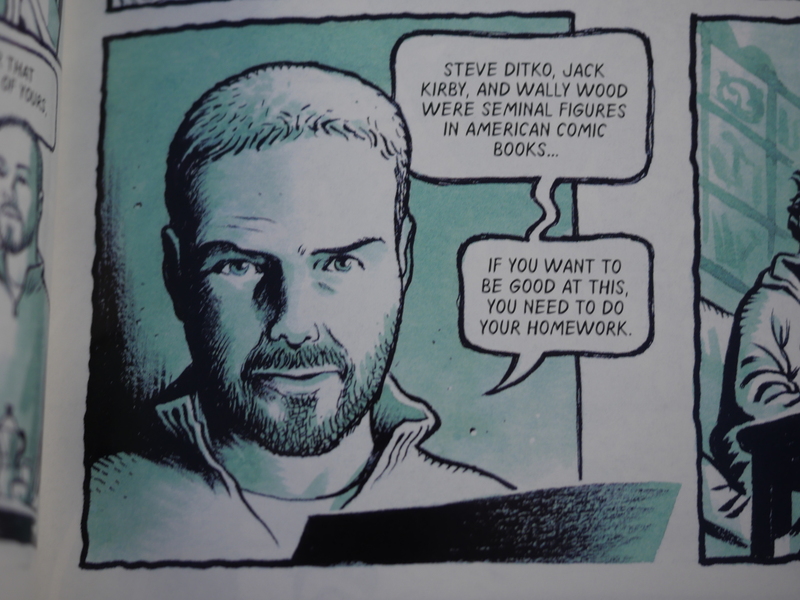 This comic book (colour, slick pages) is a translation of material previously published in Italy, which is a pretty unusual thing to do in 2014 (since alternative pamphlets don’t seem to sell much). 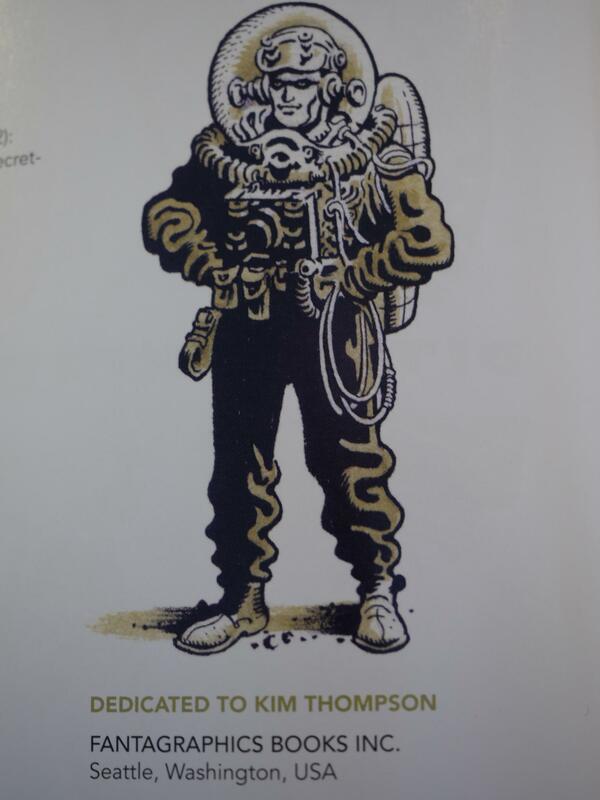 It’s dedicated to the recently deceased Fantagraphics co-publisher Kim Thompson. Anyway, there’s a framing story where a neophyte artist visits an old sage (Ponchione), and receives the wisdom of pap pap comics. 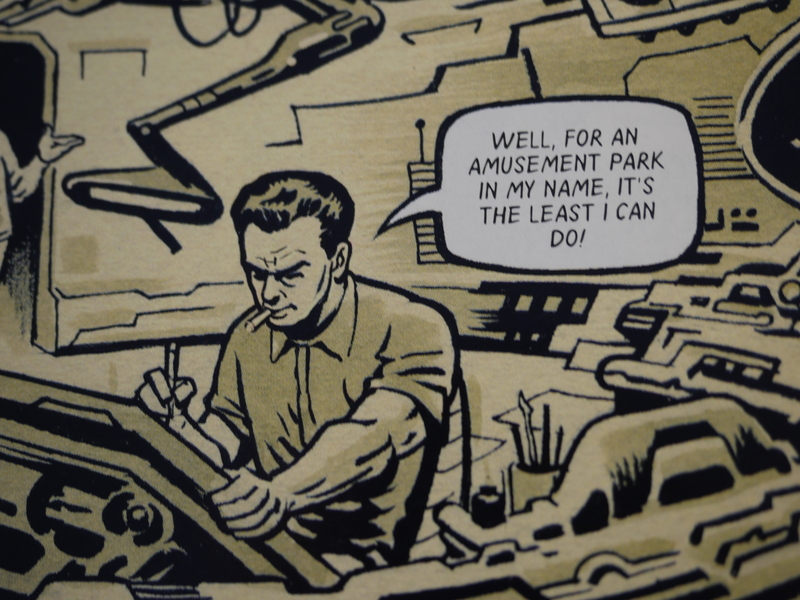 … and one of Wally Wood. 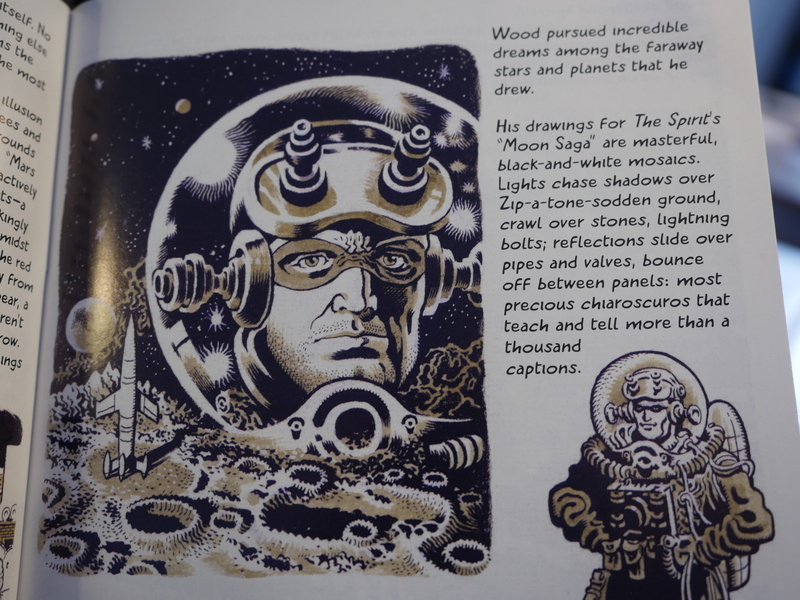 The Wood piece is a short essay with illustrations interspersed, and I have to say (I HAVE TO) that Ponchione doesn’t really draw a lot like Wood. 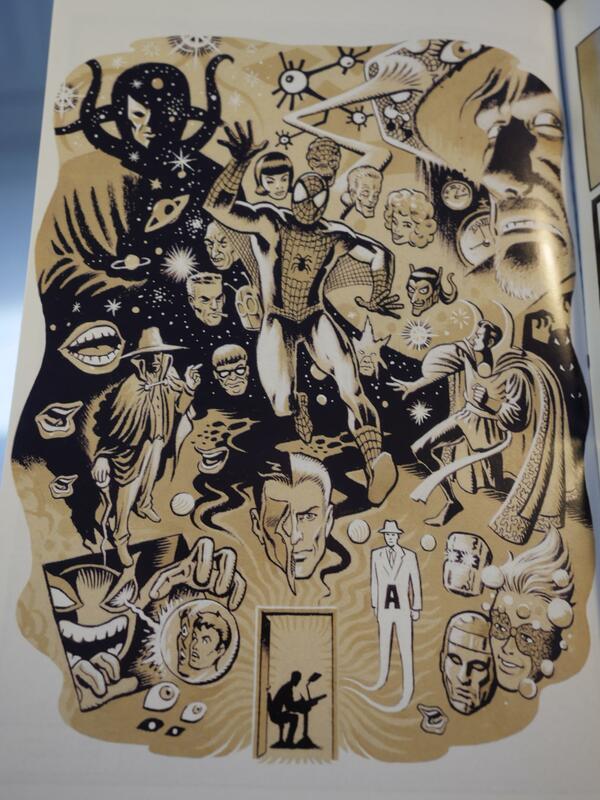 The third and middle story is an imagining of Jack Kirby in an alien afterlife, creating new work. It’s fun, but slight. Ponchione had previously published the Grotesque series at the Fantagraphics Ignatz imprint (which I’m not covering in this series of blog posts). Ponchione continues to publish work in Italy.